Twitter has launched its suite of advertising tools in Hong Kong, including native video and mobile app promotions, with the aim of attracting Chinese brands looking to reach a global audience. 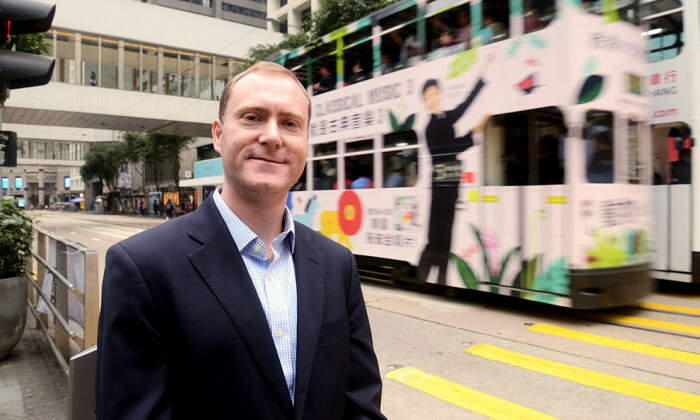 Initially the focus for Twitter in Hong Kong will be on chasing advertising revenue, rather than expanding its Hong Kong user base, which Peter Greenberg, Twitter’s sales director of emerging markets, described as small, but influential. That opportunity, Greenberg said, is targeting a growing stable of Chinese brands looking to capture Twitter’s 288 million active monthly users. “Engagement is the new social currency for businesses of all sizes,” he said, adding that Twitter has an engagement rate 3 to 5 times higher than traditional digital ads. And while some brands in Hong Kong and China are still at an early stage of understanding Twitter’s potential, having an on-the-ground presence would go a long way in educating brands and agencies. Greenberg described Twitter as the world’s “interest graph”, a public tool which allows brands to discover content and target consumers on “unique signals of intent”. Shailesh Rao, Twitter’s vice president of Asia Pacific, Americas and Emerging Markets, said working directly with advertisers across the Greater China will contribute to its next phase of growth in Asia. “We are capitalizing on this growing trend of the most ambitious, entrepreneurial and successful Chinese companies wanting to go global, and we believe that Twitter is an essential way for them to connect and engage with the world,” he said. With its 'Get a blessing, Give a blessing' charity drive, it encouraged customers to donate a portion of their festive funds throu..
iris and Mindshare appoint, NHB calls pitch plus more. ..
A new report from GlobalWebIndex has found WeChat increased 379% of users during Q2 to Q4 last year. ..